The Philadelphia engagement of the Tony, Grammy and Olivier Award-winning musical JERSEY BOYS broke the box office record at the Forrest Theatre for the third time, grossing $1,290,854 for the week ending November 5. This tops the previous record of $1,262,731, that they set the week ending October 17. JERSEY BOYS began performances in Philadelphia on Thursday, September 30 and will play through Sunday, December 12. 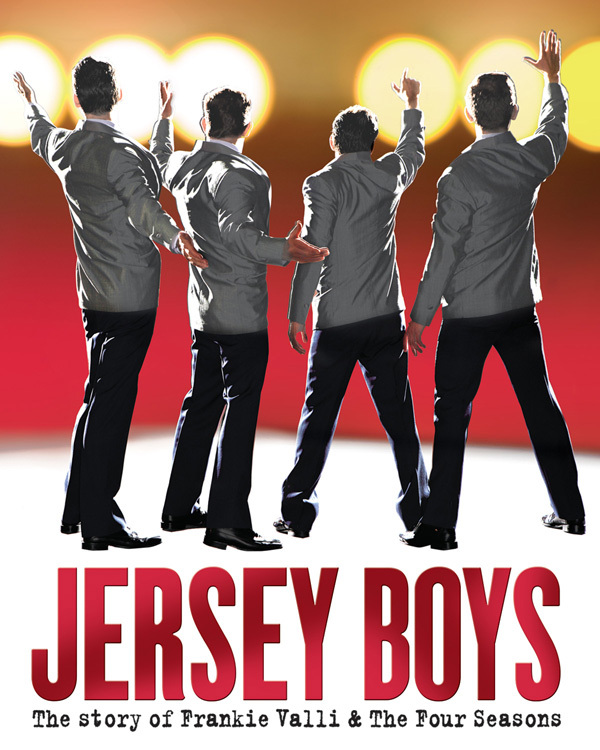 JERSEY BOYS will next play Boston’s Colonial Theatre from December 16 through January 30. 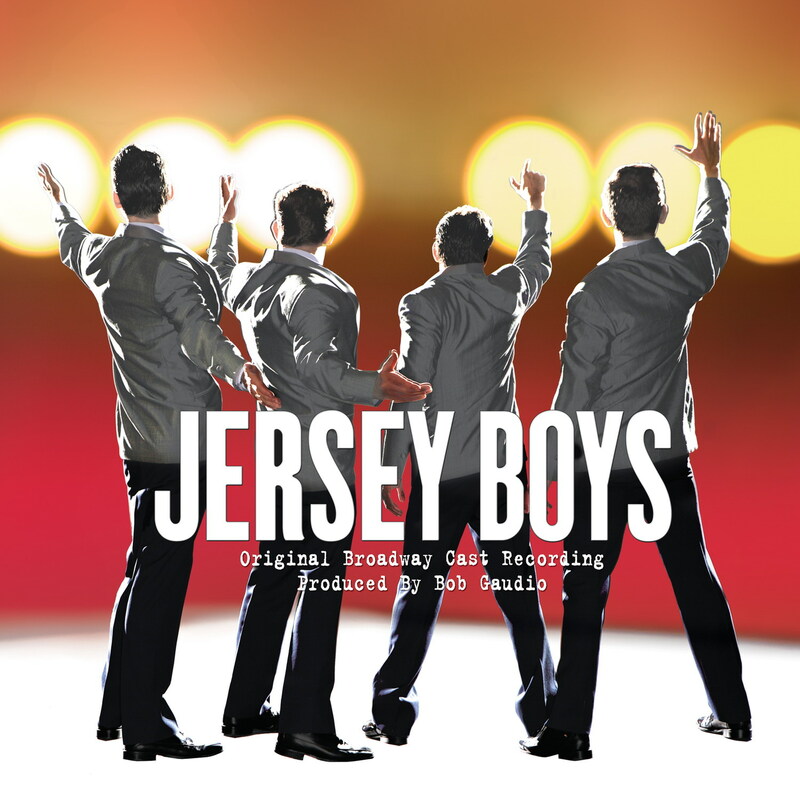 JERSEY BOYS, the Tony, Olivier and Grammy Award-winning Best Musical, remains #1 on Billboard’s “Top Cast Albums” after 250 weeks on the chart and has moved up to #26 on the chart for “Top Pop Catalog” Albums. JERSEY BOYS opened on Broadway to critical acclaim on November 6, 2005, and celebrates five years on Broadway next week. The show is currently playing in New York; Las Vegas; London; Sydney, Australia; and in cities across the U.S. on a National Tour. JERSEY BOYS is also the longest running Broadway show at the August Wilson Theatre. The Philadelphia engagement of the Tony, Grammy and Olivier Award-winning musical JERSEY BOYS broke the box office record at the Forrest Theatre for the second week in a row, grossing $1,262,731 for the week ending October 17. This tops the previous record of $1,225,598, that they set the week ending October 10. JERSEY BOYS, the Tony, Olivier and Grammy Award-winning Best Musical, will celebrate its 5th Anniversary on Broadway Saturday, November 6. To mark this milestone, JERSEY BOYS will have a series of events around the anniversary weekend of Saturday, November 6 through Monday, November 8. Go to Broadway.com to check out new performance footage (click here) and brand new production photos by Joan Marcus with the 5th Anniversary cast (click here). The Empire State Building will celebrate the 5th Anniversary by shining the tower in white, red, and yellow (from bottom to top as seen from the street) from Friday, November 5, until 2 a.m. Sunday, November 7. The Empire State Building celebrates many cultures and causes in the world community with their iconic lightings. Soaring 1,454 feet above Midtown Manhattan, the Empire State building is the “World’s Most Famous Office Building.” The Empire State building has been named America’s favorite building in a poll conducted by the American Institute of Architects. A section of 52nd Street between Broadway and 8th Avenue will be renamed “JERSEY BOYS WALK” on Sunday, November 7 at 1:00pm. Original Four Seasons Frankie Valli and Bob Gaudio, along with members of the creative team including co-authors Marshall Brickman and Rick Elice, and the current cast will participate in this momentous occasion. Immediately following the matinee performance on Sunday, November 7, New York City Commissioner Katherine Oliver will present a Mayoral Proclamation in honor of Jersey Boys for its remarkable achievement in celebrating 5 years on Broadway, for the joy it has given over 2.5 million audience members, and the extraordinary economic impact the hit musical has had on New York City. Sardi’s Restaurant will honor Frankie Valli, Bob Gaudio, Marshall Brickman and Rick Elice with caricatures that will be unveiled on Monday, November 8 in a PRIVATE reception. By invitation only. On Monday, November 8 at 7:00 pm, The Paley Center for Media will recognize the 5th Anniversary with a special evening featuring original Four Seasons members Frankie Valli and Bob Gaudio, and Jersey Boys co-authors Marshall Brickman and Rick Elice, who will discuss the legacy of the band and the production of the Broadway show, and share archival performance clips with the audience. Tickets for the main auditorium are currently sold out, but a select number of additional seats in a closed circuit viewing room (with the panel broadcast on screen), are available for $5. Visit PaleyCenter.org to purchase this member price seat using code jerseyboys. JERSEY BOYS, the Tony, Olivier and Grammy Award-winning Best Musical, will become the longest running show in the history of Broadway’s August Wilson Theatre, the theatre owned by Jujamcyn Theatres that opened over 85 years ago on April 13, 1925 as the Guild Theatre, on Wednesday, October 13 at 8:00 p.m. after 2037 performances. The Philadelphia engagement of the Tony, Grammy and Olivier Award-winning musical JERSEY BOYS broke the box office record at the Forrest Theatre for the week ending October 10. The hit musical grossed $1,225,598. This tops the previous record, held by The Phantom of the Opera in 2006 of $1,214,323.